I first met Ye Chen (Cherie) during the Fall '17 international student orientation where she was serving as a Global Guide to welcome new international students to ASU. The brief conversation I had with Chen ended up with me recommending her to join CIS. She cared a lot about the welfare of international students and spoke English exceptionally well for a foreign student. Chen ended up joining our Fall 2017 cohort and worked on contacting vendors for food to be served during our Signature event, International Night. In what she is calling the turning point of a her life, Chen credits ASU for the experience she gained when she was an exchange student. 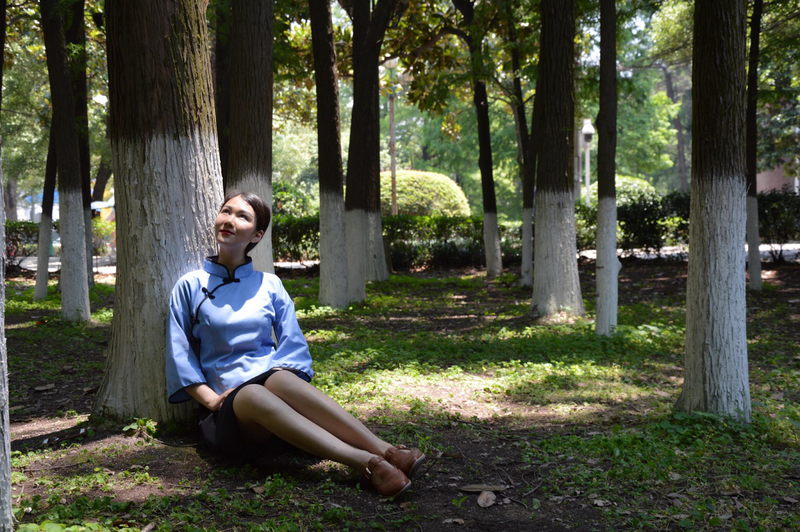 Chen did her undergrad in Hunan University as a Finance student but her year long exchange program at ASU opened her eyes to a new future she never thought of while she was in China. After receiving her degree in Finance, she made the decision to pursue a Masters degree in Higher Education. She describes her choice to take on this challenge as a devotion to her love of teaching. Back in Yueyang (a city in China's Hunan Province) where Chen grew up, she was a part time English teacher for primary school and college students. Her passion for teaching roots from the mindset that she loves to change the the lives of young individuals. Adding to that, Chen prefers working with college students because she feels she can make the most impact with them and hopes to work in a University environment when she graduates. What's most exciting for Chen right now is that she will begin her part time staff position at ASU Housing where she will be closely working with students. Besides crediting ASU for this new perspective for her future, Chen also notes that the China's College Entrance Examination (Gaokao) helped build her persistence and personality. "The system is really debatable and controversioal as one score can seperate thousands of people. It is very competitive" said Chen. But she strongly believes that this is a fair system that shapes the discipline of high school students. In regards to her time with CIS, Chen says that she gained a lot of friendships and opportunities to meet new people. After a semester mingling around with other CIS members which she quotes are "competent people that have leadership skills and are talented in some way". Chen has changed her mindset about how ASU is onboarding new students to the university. Looking beyond the low entrance requirement when compared to other institutions, Chen believes that ASU is also attracting qualified students to join the university. When asked why she would recommend others to join CIS, she pointed out how she witnessed the current CIS President Meitong Chen grew to become a more confident and compassionate leader. Adding that CIS is not just a place to have some fun in between classes but also a place with plenty of opportunities to showcase and develop an individual's interpersonal skills. Additionally, Chen also shared with me that she hopes that international students would be more confident with themselves regardless of their proficiency in English. She believes that studying abroad is an opportunity to improve upon your confidence level. "Talk to more people, make an impact. Take advantage of every bit of your time here in the U.S." says Chen. Within the next 10 years, Chen hopes to be working in a U.S. university and hopes that her three identities: Adventurous, Empathetic and Persistent to be true as she walks down the path of life.